After much anticipation, the new Los Guachos bricks & mortar restaurant has finally opened for business. Prior to this, Los Guachos had been one of the most popular taco trucks in town and they now join Super Torta in being part of an exclusive group that has expanded their mobile vending popularity into the realm of sit-down dining. As with Super Torta, they are continuing to operate their truck in its usual location as well. 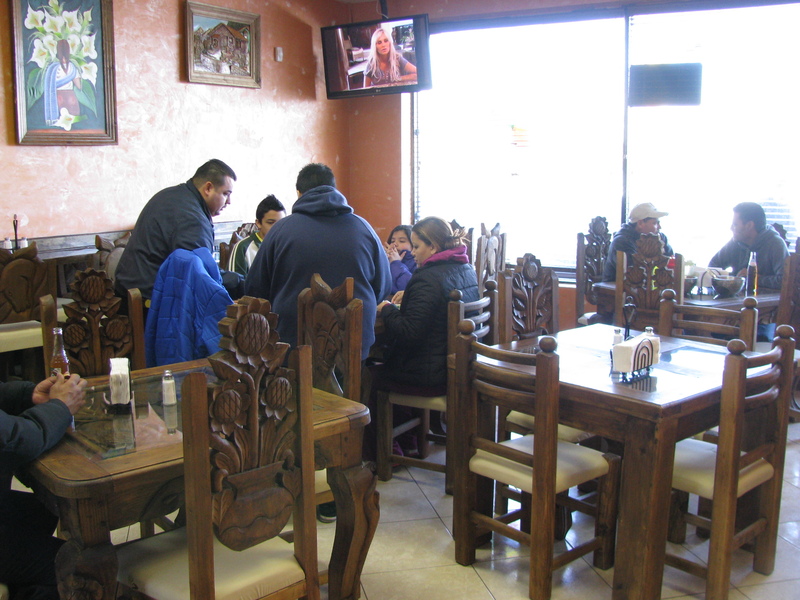 The dining room at Los Guachos is small, seating perhaps 30, and was already packed and buzzing with activity at 2:30 in the afternoon on its second day of operation. You can, and might prefer to, call ahead for take out orders during peak hours. Los Guachos’ new restaurant features all of the favorites from their truck – including their ‘very famous’ gringas and al pastor tacos – as well as an assortment of new menu items. If you want your al pastor to be spit-roasted, aim to get there after 4pm – before that al pastor is cooked on the grill. New offerings include three burritos: El Favorito (a classic burrito), the Guacho Burrito (al pastor and pineapple) and a vegetarian burrito. They also have Juanas (sincronizadas) which are two grilled flour tortillas sandwiching melted cheese and meat – very similar to the quesadillas. There are four types of Alambres, messy but delicious make-it-yourself affairs, similar to fajitas with melted cheese. Another new addition is volcanes, a crispy corn tortilla with melted cheese and your choice of asada, al pastor or suadero. Protein offerings are expanded as well, and now include asada (steak), tripa (tripe), lengua (tongue), suadero (steamed beef) and pollo (chicken). As well as sodas and water Los Guachos also offers horchata (rice water). Los Guachos (the truck) is well known for its ‘buy-one-get-one’ Tuesdays. At least for now, the truck will be the only location offering that deal. There is also a childrens’ menu with mini quesadillas and burritos. 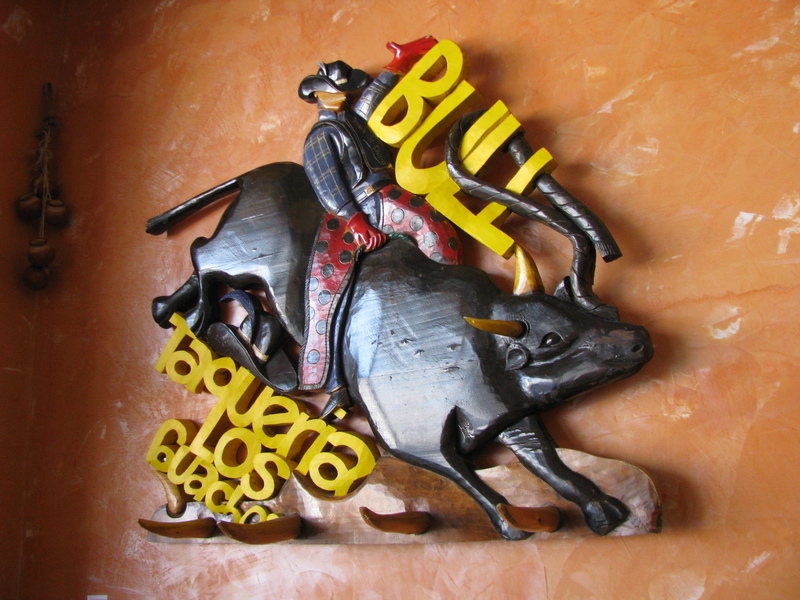 Note – Los Guachos is reaching out to vegetarians with their veggie burritos and quesadillas. This entry was posted in Mexican. Bookmark the permalink. I can’t wait to go! It all sounds awesome! I went over last night – it was great, but be warned that the heaters in the restaurant seem to be struggling against the current extreme cold. We kept coats and hats on while eating and were -still- cold. That said, still loved it, and will be going back again soon! Just wanted to let everyone know that they don’t turn on the al pastor spit until after 4 p.m. They still have al pastor during the day, but if you like it shaved (like at the taco truck), go after 4 p.m. Other than that, the food and service was great! Oh that’s awesome. It looks like a neato place. The Bethel road (and Sawmill and Henderson to some extent) has become the best region for ‘international’ foods in Columbus. Most of these have great flavors and are not very expensive. I implore to explore. Shut the front door! OMG, very excited. My favorite food truck of all time. Best news is I work down the road. Can’t wait to take all of my non adventurous friends. BLISS – oh dear gringas you have come home to me! We ate there on Friday. Very, very good. Food was very good and very simple, meaning just good solid food instead of filler (I hate iceberg head lettuce!). Service was very, very friendly and helpful. We’ll definitely be going back after 4 for the shaved al pastor. Drink selection of Mexican sodas was very refreshing. It was a bit chilly in there, though. Highly recommended! 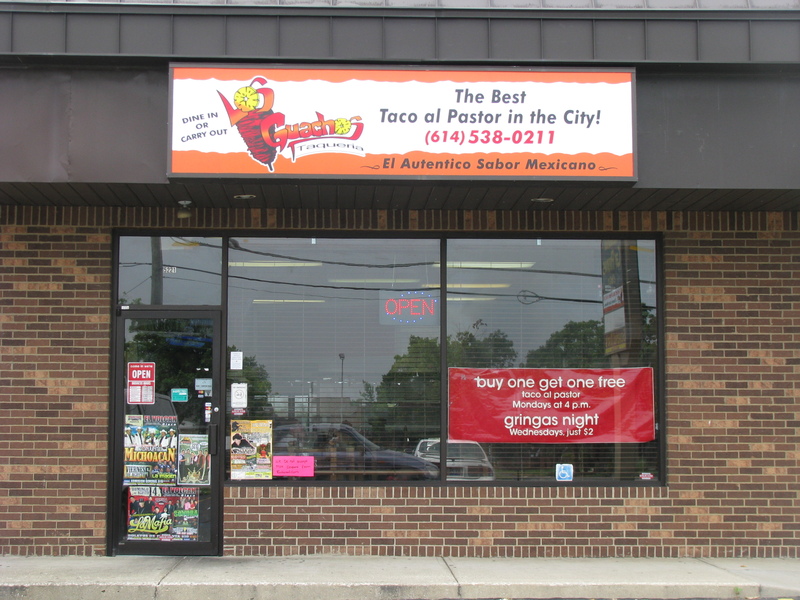 Just wanted to let everyone that LOS GUACHOS have a big BOGO EVERY MONDAY STARTING AT 2:00 PM. YES BUY ONE TACO GET ONE FREE!!! Another great recommendation by alt.eats! 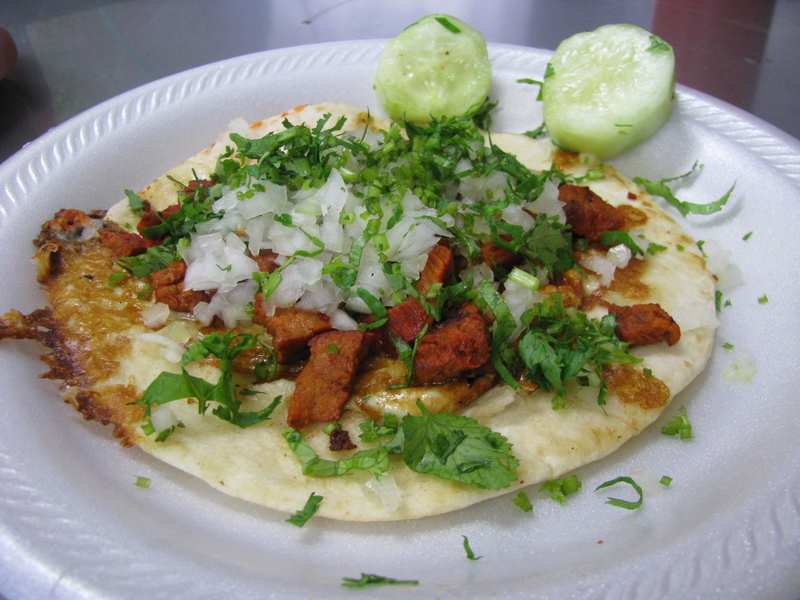 The al pastor and tripe tacos were amazing. The volcanes and gringas added a great variety of textures. My only minor complaint was lengua. Definitely good but not as flavorful and juicy as that found at Taco Nazo. At $1.50 per taco this can’t be beat. I am new to Ohio and want to try this place, it sounds so good. I want to know if this place is still open because I don’t want to drive all the way to Columbus and it be closed. I’m about two hours away. It’s definitely open, at least as of last week. Every time I drive by around dinner time they are always busy. I love this place when it first open we go twice a week.